The drinks were a bit pricy, but expected for a very nice restaurant. I'm happy to have tried a gin and tonic, since I now know that I'm not a big fan of gin. 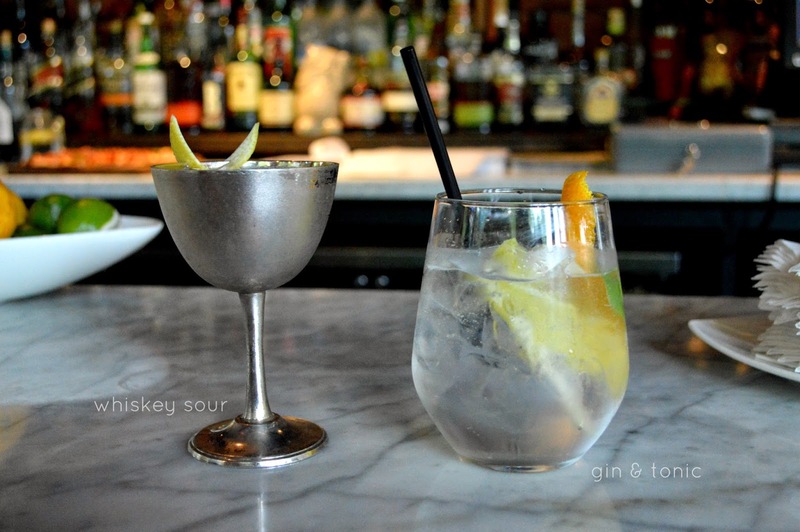 I've since discovered that the gin and tonic both have to be quite cold and doused in citrus to taste delicious. Note taken. Lauren, ready to let her creative juices flow, and my painting process from beginning to end. 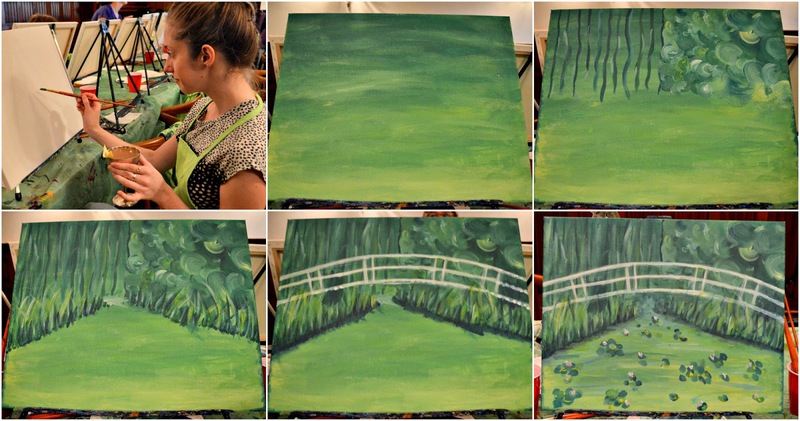 Despite this being her first time running a Paint Nite, our instructor was very calm and explained things quite well. The room was a bit warm and dark, but our night ended up being so fun and colourful regardless. Believe it or not, we were given a palette of only white blue and yellow, then finally a small dot of red to complete our masterpieces. Using two paintbrushes, one big and one small, we brushed on layer upon layer of greens to create these unique lily pad ponds. I developed my impressionist painting technique by forgetting about straight lines or perfectionism, and just blending blending blending. I love how my painting turned out, it's incredible how much better these art pieces look when you take a few steps back. 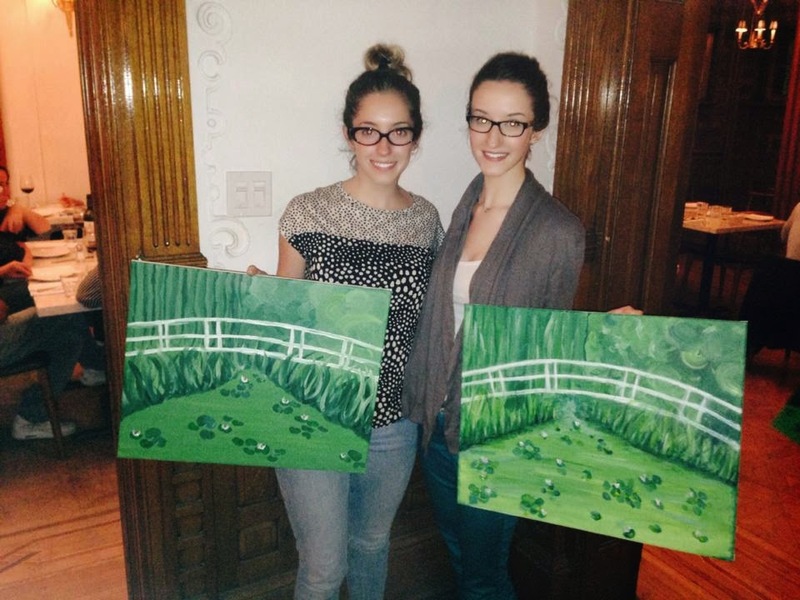 The Paint Nite Groupon deal should still be available via this link. 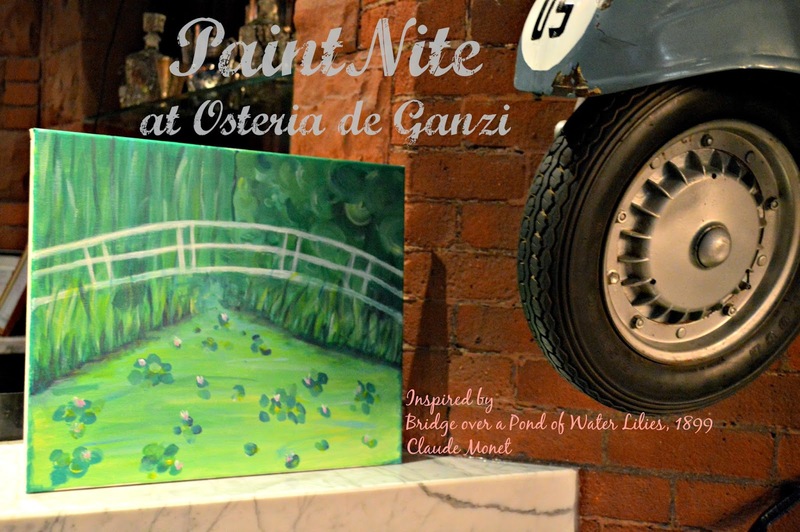 To book online, visit the Paint Nite site, here. This is such a fun idea for a girls night out, date night or a (mature) family activity. I'm so looking forward to my next painting adventure. It's scheduled for the end of the month, and I'll be sure to share my creation afterwards.